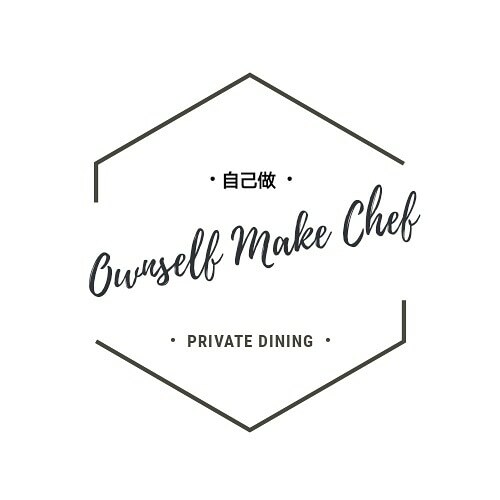 Ownselfmake Chef is a private dining experience hosted by Chef Shen Tan where you will enjoy Singapore inspired menus which mix and meld various culinary influences. Many elements of the food are hand made, hence the moniker Ownselfmake Chef. Chef Shen Tan is a self taught cook, who made a career switch in 2008 with her twice steamed Nasi Lemak at Maxwell Food Centre. She later helmed the kitchens at Wok & Barrel and Ujong, developing mod sin dishes like Ba chor mee pasta, pulot hitam pudding and Shendol. This creative streak led her to start Ownselfmake Chef with menus that explore specific themes based on a certain protein – ie aPORKalypse, What The Duck, Sinfully Seafood moving on to other themes exploring culinary ideas of umami (Sweet Surrender) or Spice (Spice Shenanigans). Join us on a Saturday where we have a different menu, and where there is no minimum number of diners required. Buy a single seat and join a fun group of culinary adventurers!